Pakistan is one of world’s top countires having freelancers and skilled online workers. A study suggests that half of the freelancers on oDesk come from Pakistan. oDesk is an online platform that connects skilled workers with clients. Recently, a Pakistani WordPress freelancer Muhammad Haris has acheived a milestone by selling over 30,00 copies of a WordPress Theme called as Avada. To be precise, the numer was 31,976 when I checked out the last time. This makes Avada the most selling WordPress theme on Themeforest. The theme costs $45 for a regular license. Avada is showcased on Themeforest, a marketplace for WordPress and other framework themes by Envato. The theme was published by ThemeFusion, a company that Haris and his friend Luke formed. 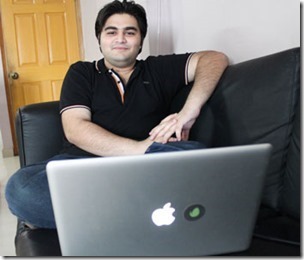 Haris started as a freelance WordPress theme and plugin developer. Later, he teamed up with a US based designer Luke Beck to create WordPress themes and sell them on Themeforest. Both the mates were soon able to create a WordPress based theme that was sold over 30,000 times in just one year. According to the Pakistani freelancer Muhammad Haris Zulfiqar, he has sold the the goods (WordPress theme) for about a million US dollars. This doesn’t have to be the destination. The theme is still being showcased in the marketplace and can be sold as many times as the authors want. Haris and his team also provide complete support for the theme and release new version of the same theme from time to time. The most recent version of the theme was released in May, 2013. What is WordPress Theme Avada? WordPress theme Avada is so clean, super flexible and has a fully responsive design! This theme sets the new standard with endless possibilities, top-notch support, and free lifetime updates with newly requested features from our users. And its the most easy-to use theme on the market! Avada is very intuitive to use and completely ready to operate out of the box. Built with HTML5 & CSS3, a lot of thought and care went into this theme making it a pleasure to use. Avada gives you an awesome tool to get your website noticed! The clean design can be used for any type of website; business, corporate, portfolio, blog, products, etc. Come join the 25,000+ users and be apart of this awesome community!